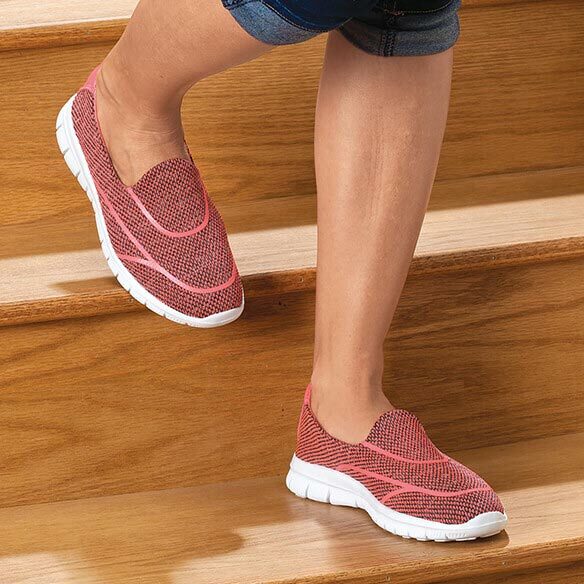 Silver Steps™ Feather Lite Walking Shoes make walking a breeze. 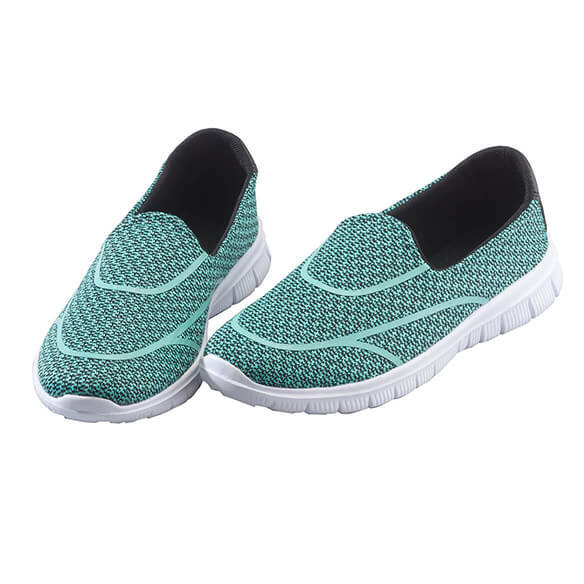 Our exclusive slip-on shoes are ultra light and breathable, with a soft insole that cushions every step and a wide toe box for maximum comfort. Perfect for exercise or athleisure, they're available in two stylish colors with athletic piping. Slip-on style stays securely on your foot. Choose from coral or turquoise. 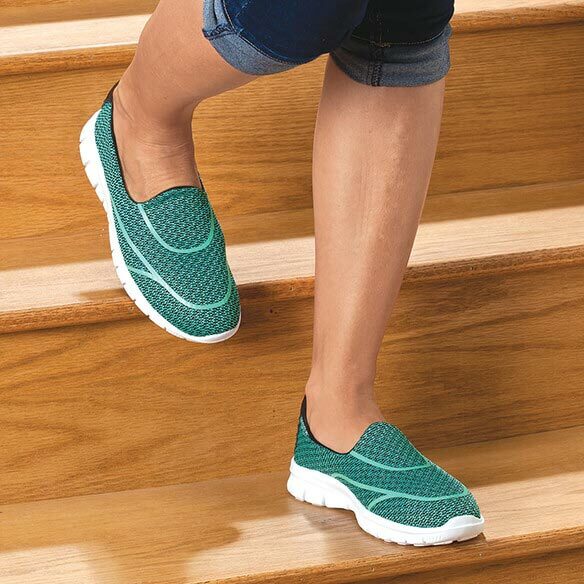 Non-slip shoes available in whole sizes 6–11; for half sizes, order next size up. These shoes are so comtable others have asked where did you get them. I love these shoes. They are very comfortable and perfect for wearing around the house. I need comfortable shoes for walking. The shoes are the only shoes that my mom could find that hurt her feet. Wide toe box and colors are a plus. Also, they slip on - something that comes in handy after hip replacements! easy and comfort, color and price. I think these shoes will help my program with neropathy. 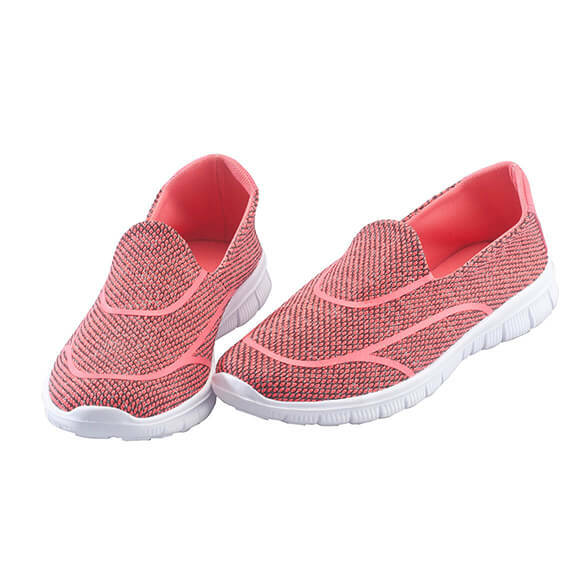 Like the cool slip on shoes for summer walks. Diabetes,Like light shoes 👟 with good tracksion! I have a pair of these and love them...very comfy! They look comfortable. the price is right. I already have the coral color and now want the green. I like the fit. I just bought some turquoise tops and I hope they will match. Can I find out the width for your Feather Lite Walking Shoes? BEST ANSWER: Thank you for your question. 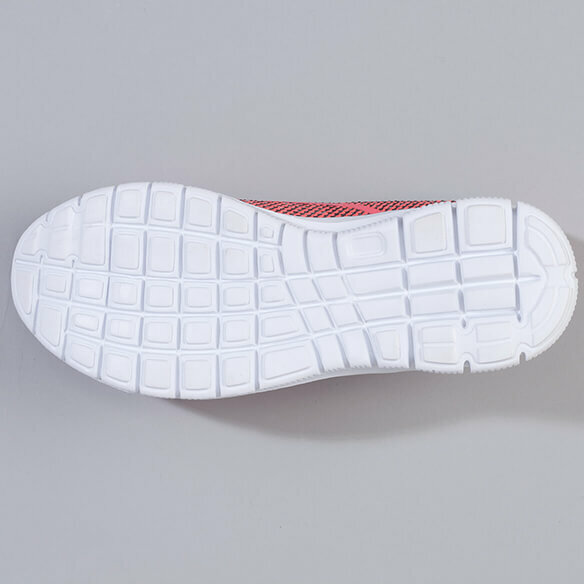 The sizing is based on standard shoe sizes we do not carry this item in extra wide. We hope this information will be of help to you. do these come in black? BEST ANSWER: Thank you for your question. Unfortunately these do not come in black. We hope this information will be of help to you. DO THESE HAVE MEMORY FOAM IN THEM? BEST ANSWER: Thank you for your question. This does not have memory foam inside. We hope this information will be of help to you.